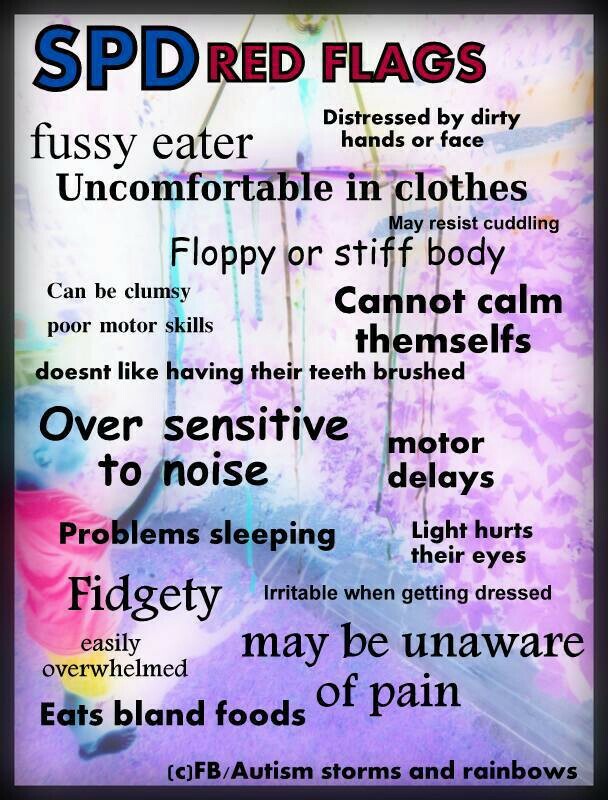 Children with Sensory Processing Disorder (also called Sensory Integration Dysfunction) will be so severely affected by their sensory preferences that it interferes with their normal, everyday functioning. 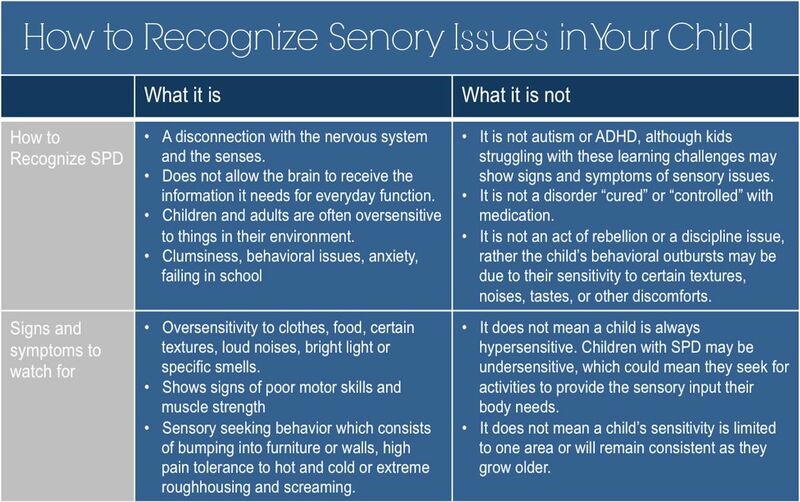 Sensory issues are usually defined as either Hypersensitivity (over-responsiveness) or Hyposensitivity (under-responsiveness) to sensory stimuli. Extreme response to, or fear of sudden, high-pitched, loud, or metallic noises like flushing toilets, noisy cutlery, or other noises that seem un-offensive to others. May notice and/or be distracted by background noises that others don’t seem to hear. Fearful of surprise touch, avoids hugs and cuddling even with familiar adults. Has poor balance, may fall often, clumsiness. Doesn’t understand personal space even when same-age peers are old enough to understand it – lack of spatial awareness. An extremely high tolerance for, or indifference to pain. Doesn’t understand his or her own strength – plays too rough, not knowing when to stop. Seems to be a “thrill seeker” and can be dangerous at times, little danger awareness. __ may refuse to go to movie theatres, parades, skating rinks, musical concerts etc.